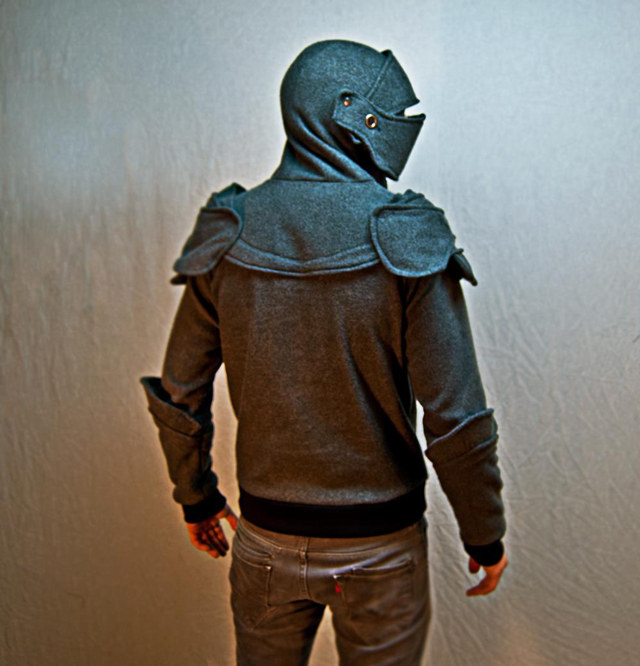 Chadwick John DIllon made this awesome Grey Knight Armored Hoodie, a hoodie that looks like a suit of armor. The hoodie is available for purchase on Amazon. 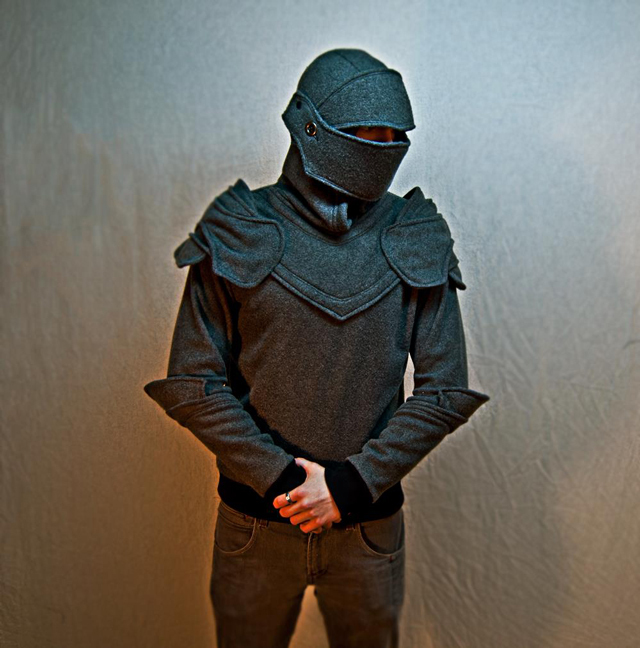 Chivalry is back in this unique set of knight’s armor from the SOF works. 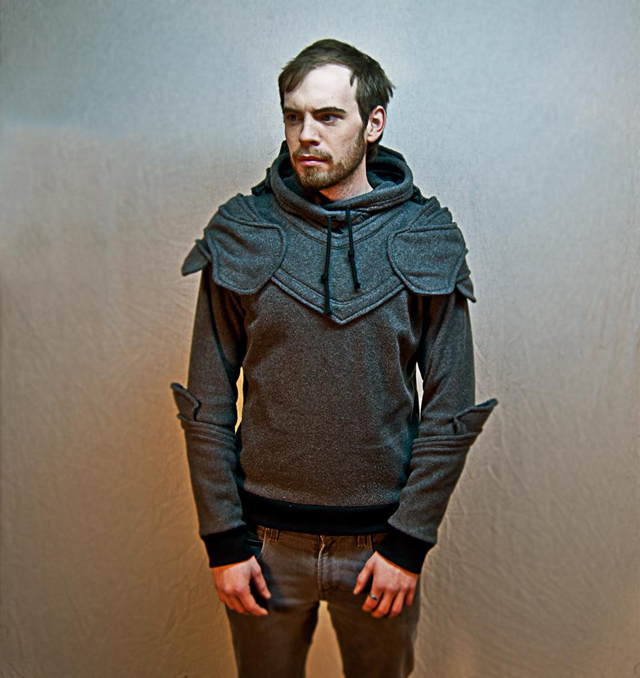 Joust, battle Saxons, high five a SunBro, or just rock around town in this modern plate armour. 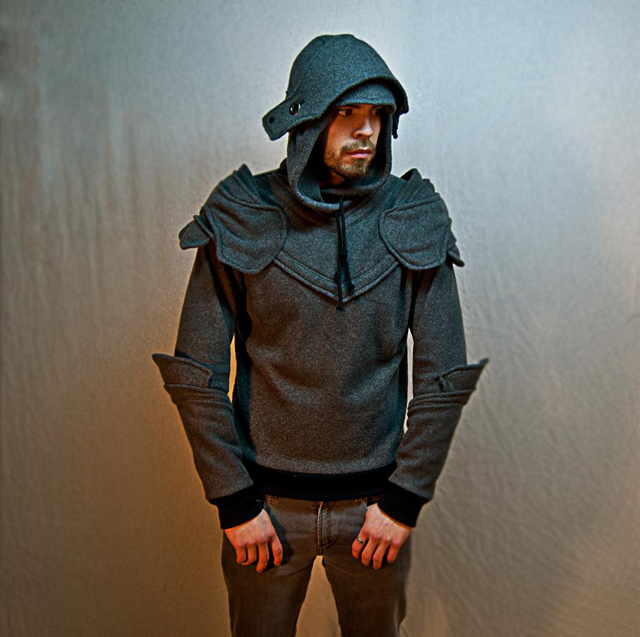 Fully retractable face plate and visor hood keeps the wearer ready for anything, while the fixed breast plate, spauldrons, and elbow couters add elements of style and strength from an a age long past. Serged interior for professional quality, and reinforced stitching on all armored pieces for durability. The Grey Knight has proven valor and his cause is just. Wear this armor and show your quality.